What are the top ten things to do in Cambodia? Our destination experts share an overview on the most popular highlights, attractions and activities. 1. As one of the largest temple complexes in the world, Angkor Wat is an incredible former city in the midst of the jungle. 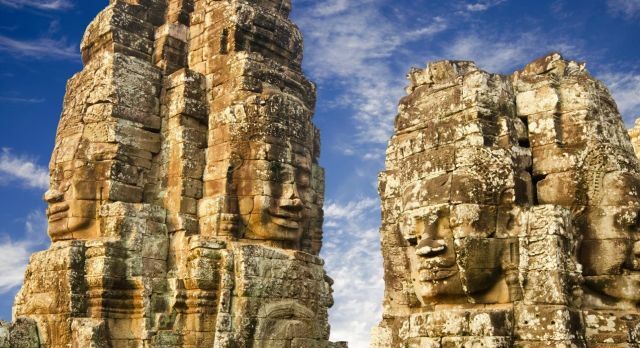 Be mesmerized by the sheer scale and magnificence of these impressive carved structures, such as the four-faced Bayon Temples. 2. Experience a memorable natural spectacle during a night kayak trip over River Tatai! Experience thousands of fireflies illuminating the shores lined with mangrove trees with their magical light. 3. The Royal Palace in the capital Phnom Penh is the seat of the Cambodian royal family and testimony of the magnificent Khmer architecture. The Silver Pagoda with the adjoining gardens is also worth a visit. 4. Cambodia has a profoundly sad history, which you can learn about in the moving Tuo Sleng Genocide Museum – once a prison of the Khmer Rouge. Learn about the terrible years of suffering during the reign of a terrorist regime. 5. Siem Reap is located near the Angkor temple complex and boasts its own marvellous architecture. Along the splendid alleys of the city, there are numerous fine French-colonial buildings, while the Old Market is home to Chinese-style buildings. 6. 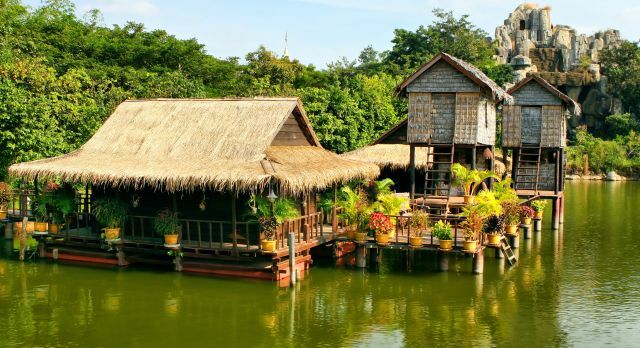 Visit the picturesque floating villages on the shores of Tonle Sap, one of the largest lakes in Southeast Asia. The lake, together with the Mekong River and Basaac River, forms a waterway system that allows you to travel to Laos and Vietnam. 7. 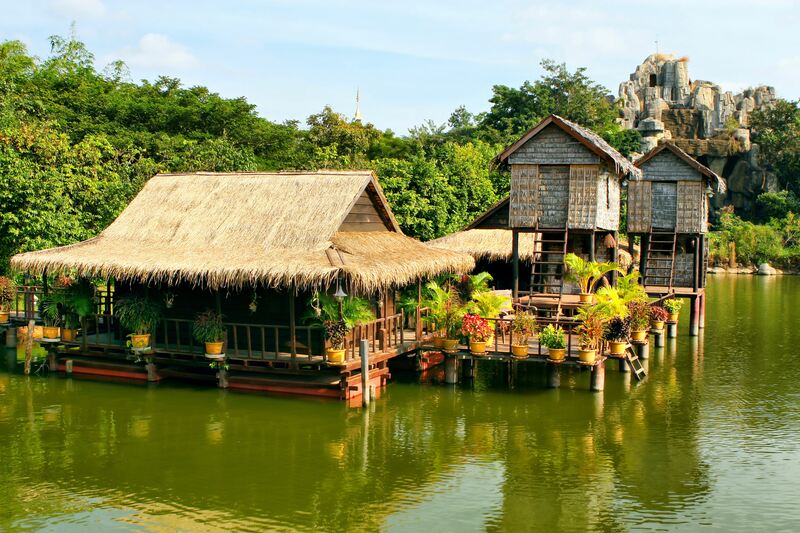 A cruise over the Mekong River Delta takes you from Siem Reap in Cambodia to Saigon in Vietnam. On the way, you can enjoy floating markets, colorful harbor towns and visits to imposing temples, including, of course, the famous Angkor Wat. 8. Our secret travel tip: In remote Rattanakari you can experience Cambodia quite authentically. Stroll along the red mud trails, admire the characteristic wooden houses built on stilts, or go hiking in the surrounding mountains. 9. 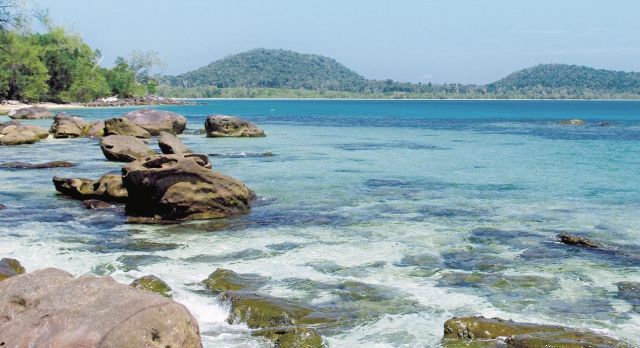 Sihanoukville is the perfect place if you wish to enjoy a Cambodia beach vacation. There are crystal clear waters and fantastic sandy beaches in the shade of lush green mountain ranges. 10. Just a few kilometers from Battambang, the mighty Wat Banan Temple rises up on a 400-meter-high hill. The temple complex was built between the 11th and 12th century ,and offers a magnificent panoramic view of the surrounding countryside. Our Asia specialists will be pleased to advise you on the top ten things to do in Cambodia and determine the ideal travel route so that you do not miss any of the highlights. Contact us for your complimentary, obligation-free itinerary.